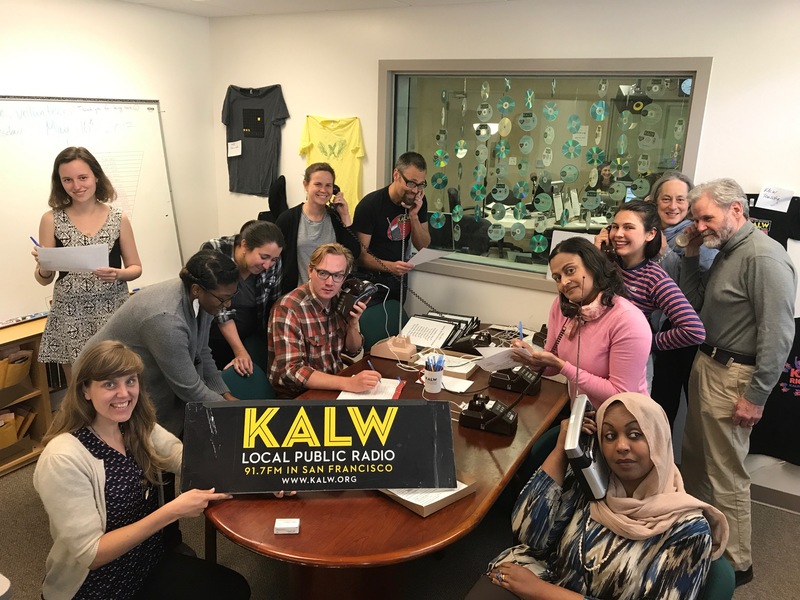 KALW staffers get busy in the phone room during the recent membership drive. These eight people made it through an extremely competitive application process. As our program has matured and word-of-mouth has spread, the Audio Academy has become an important and in-demand training ground. We’re really looking forward to working with the next class and helping to bring their voices to the public! They’ll get started around the end of August. At the same time that we selected those fellows, we also processed applications for our summer journalism program. It doesn’t include the same level of hands-on training as the Academy, but it does provide 12 people with the chance to work in our newsroom, contribute to our public interest work, and build skills as reporters and producers with our award-winning and attentive staff. Laura Wenus – Currently the Managing Editor at Mission Local and a former Your Call intern. She’s also a licensed pilot! Those impressive folks will be coming in for a two-day orientation beginning at the end of May, and they’ll work with the current Audio Academy class to get their feet under them. This is an exciting time at the station as we welcome new and passionate people. Looking forward to telling you many more stories about their work! Note from ACE: We welcome the Audio Academy students and the summer journalism volunteers. We look forward to hearing your work, and getting to know you better. Good radio journalism, like that practiced and taught at KALW, is important.